Replacement Trampoline netting only. You must have 8 poles that angle in at the top, and pole caps with a little black screw through it. DOES NOT FIT 6 POLES. Make sure you count the number of poles on your enclosure. 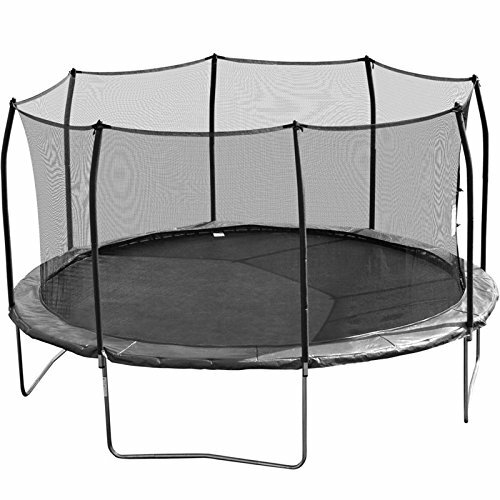 This is not the complete trampoline. This is only part of the trampoline.